The Lexus RX350 is available with a 295 hp 3.5-liter V6 engine that can be had with either front or all-wheel drive and come standard with an 8-speed transmission. The optional F Sport trim adds adaptive dampers and a sporty edge to the package. The bold exterior styling differentiates the RX from its more subtly styled competitors and so do the well-built interior and high standard specification levels. The previously optional Lexus Safety System + is now standard across the range and luxury and premium packages offer even more equipment if desired. The Lexus RX has been a top selling SUV since its introduction, 2016 saw it receive a big upgrade, shedding its unassuming exterior for a far more aggressive design the interior too was subject to a total makeover. The biggest difference between old and new RX models is the polarizing exterior styling, adopting the corporate grille and new angular design language of the rest of the Lexus range, the RX is definitely much more of a head turner. For 2017 the changes are more evolutionary with the focus on improving equipment levels and extending trim offerings. The interior is all new too compared to the previous generation and remains largely unchanged for 2017. With comfortable seating, logically laid out controls and plenty of space inside the cabin the new interior is a pleasant place to be. The optional 12.3-inch infotainment screen is massive although the joystick-like Remote Touch controller can be a bit fiddly in operation. Build quality is about as good as it gets in this segment and cargo space is decent too, although the sloping roofline can limit its usability. The RX is available in either front or all-wheel drive and for 2017 F Sport trim can now be optioned with either layout – it was an all-wheel drive only option until now. The base models ride on 18-inch wheels and tend to exhibit some lean during enthusiastic cornering, the F Sport trim introduces adaptive damping and larger 20-inch wheels which manages the neat trick of improving handling without affecting the ride quality. In essence, the RX feels solid and composed in normal driving situations although the larger wheels, more supportive front seats and even more aggressive front-end of the F Sport is a worthwhile upgrade. 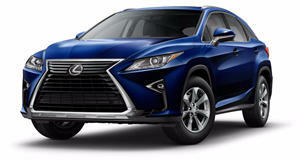 The RX350 is available in either front or all-wheel drive models and with or without the F Sport package. The RX350 pumps out 295 horsepower from its 3.5-liter V6 providing decent if not quite class-leading performance. The 8-speed transmission is unobtrusive and responds well to varying driving conditions. The 0-60 mph time of 7.7-seconds (7.9 for the AWD model) is in the ballpark for this class of SUV and the 27 mpg highway average is decent considering the size of the Lexus RX. For 2017 safety has received a welcome boost in the RX as the previously optional Lexus Safety System + comprising of lane departure control, adaptive cruise control, forward collision warning and auto high beams are now all standard across the range. Standard features include a rearview camera and keyless entry, Bluetooth connectivity and a host of other features that make even the base model want for little else. F Sport trim as mentioned previously is not limited to all-wheel drive models and may be worth it for the adaptive dampers and sports seats alone. The Luxury package includes 20-inch wheels and improved interior trim the most notable being the upgraded cushion extender and lumbar powered lumbar support for the driver’s seat. The Navigation package includes the larger 12.3-inch display and 12-speaker premium sound system and for those in the back, the rear-seat entertainment package offers a dual-screen system with wireless headphones and various audio/video input options. Certain extras such as a head-up display, sunroof, intuitive park assist and blind spot monitor are available as stand-alone items as too. The 2017 Lexus RX350 is a well-rounded offering that retains the traditional Lexus traits of excellent build quality and high specification levels. 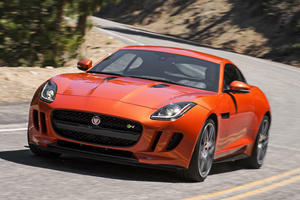 It wraps the package in a far more edgy and adventurous exterior design that is further enhanced in F Sport trim. Ride quality is firm but not unduly harsh and the F Sport trim improves the ride quality thanks to the addition of adaptive dampers. Performance levels should be more than adequate for most shoppers’ needs. 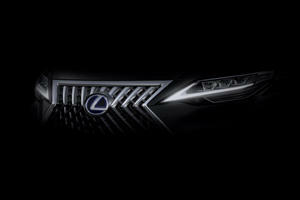 The Lexus minivan will be revealed at the Shanghai Auto Show next week. 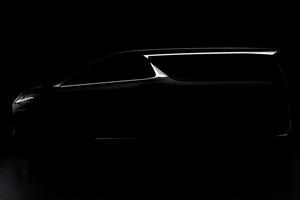 Is This Our First Look At A Luxury Lexus Minivan? We’ll find out at the 2019 Shanghai Auto Show later this month. Great deals are to be found this time of year.